Equipment diagnostics frequently includes analysis that would be supplemental to the “Check Engine” or “Service” engine lights. We have a variety of this specialized equipment that is designed specifically to dig deeper into the general error messages. 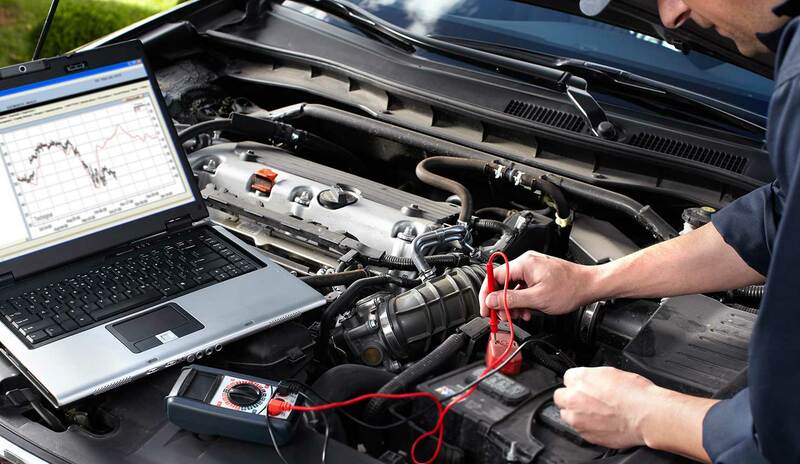 By leveraging this our specialized computer diagnostic equipment, we can uncover hidden information that can help us diagnose more stubborn issues such as ignition misfires or fuel injection lean/rich burn states that would be impossible to find otherwise. While there is certainly time spent on Physical Diagnostics when becoming a certified mechanic, this is one area that comes primarily through experience. There is simply no substitute for experience, unless it would be called tenacity. Our reviews clearly show that we are both tenacious and effective in our troubleshooting and diagnostics. If you already have a check engine light on, it’s best to take your car to us and let a certified technician diagnose and repair the issue. Got an annoying light on the dash? Bring it to us. We WILL get to the bottom of it. It’s what we do.